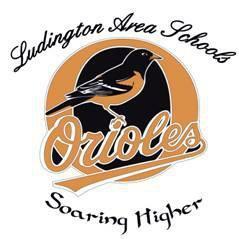 Ludington Area Schools will put a bond before voters for new buildings and major renovations. The school board moved forward with a $101 million proposal this week. The biggest part of the project would be consolidating all of Ludington’s elementary schools onto one campus. The bond would also cover major renovations to the high school and middle school, transportation improvements and security upgrades. District Superintendent Jason Kennedy says Ludington schools have not had significant improvements in decades. “School buildings that were built in the 1920s, 1950s, 1960s were built with a very different intention in mind," he says. He says students today learn with technology and in collaborative spaces. Kennedy says there is an appetite among voters to improve schools. In 2018, about 70 percent of school bond proposals in the state passed. Most of the bonds that failed were in rural northern Michigan, including a bond in Mesick which failed for a third time. “We’re hopeful that citizens here in Ludington have valued the education that they’ve received, but also that they place a value on advancing the work that our teachers are doing," says Kennedy. Voters will decide on the bond in May. The Mesick Consolidated Schools bond has failed again. This was the third time the district asked the community for more money for schools. The $13.7 million plan was to build an elementary school wing on the high school, upgrade technology and enhance security. Judy Myers is 71. She doesn't have any grandkids in the district, but she voted for the bond. "If we can pay for seniors to have a senior center," says Myers, "we can have a school for the kids." But more people agreed with Cindy Short, who voted against it.